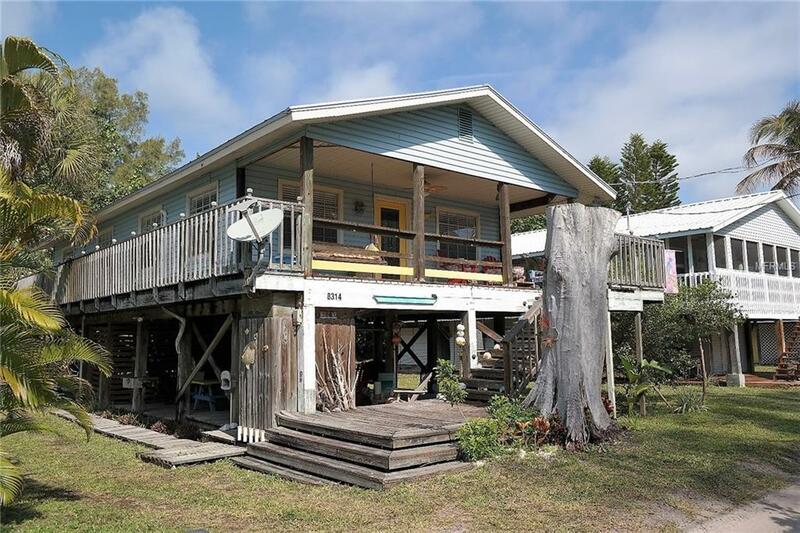 This darling 3 bedroom, 2 bath, beach cottage come fully furnished, and cheerfully decorated, with 3 yr old stack washer and dryer, has a metal roof, beautiful bamboo floors throughout, except in the baths where there is tile. There is a large front porch, with porch swing and sitting area, where you can relax and enjoy the warm island breezes. There is a wrap-around deck which is good for maintaining the home. Under the home there is a storage area for all your beach toys and fishing tackle, plus an outdoor shower. Also, it is fully decked and great for hanging out with family and friends. Itâs a short walk to the beach where you have several miles of beautiful sand to walk, look for shells and sharkâs teeth, swim or fish. Bring your flip-flops and swim suit and move right in, and start living on island time. Amenities Additional Fees: Additional fee of $175 per year is for the dock association.